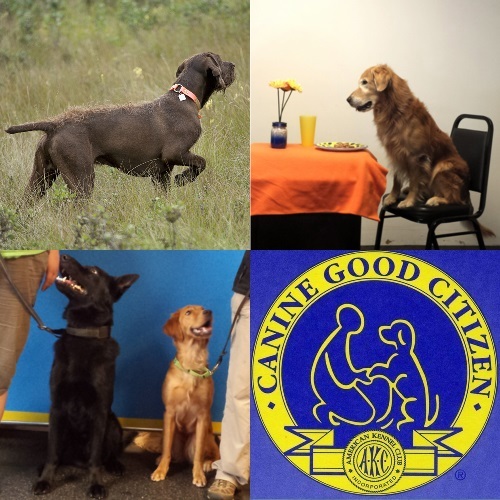 The series is divided into four 3-week modules, each dedicated to a single core concept (Come when called, stay & self control, leash manners, polite greetings). This is an opportunity to focus on and enjoy progress with a number of fundamental manners challenges. This module focuses on the skills needed for successful greetings, including approaching and leaving people, holding still for petting, being approached by a stranger, greeting sitting and standing people, door manners and more. 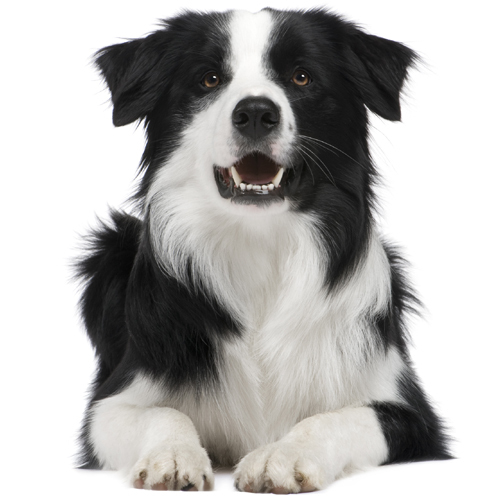 Mannerly behavior around people will allow your dog participate in more social situations. This class does not cover dog-dog greetings. Enjoy a nice long walk through the park, in town, or just around the block. With some smart techniques, you can learn to walk together. Teach your dog to keep a nice loose leash even with distractions, and learn how to get and keep your dog’s attention when you most need it. 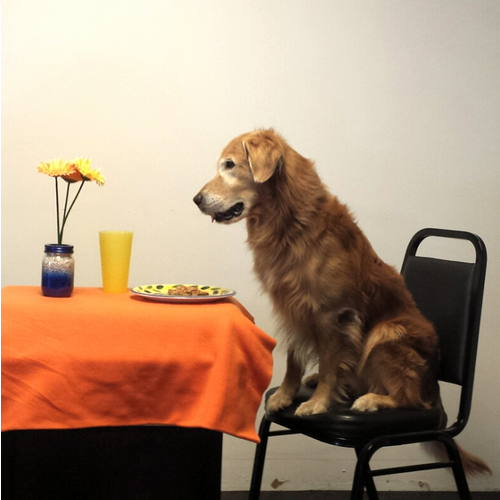 Even highly motivated dogs can learn to have self control! Teach your dog the concept of “duration”. Practice calm waiting and settling on a mat. Teach your dog to inhibit his or her impulses around progressively more tempting distractions. Use exciting and fun rewards to build a solid, automatic come-when-called behavior. Teach your dog to come quickly, from and through distractions, and to come all the way to you. Understand why your dog sometimes does not come when called, and what you can do about it. 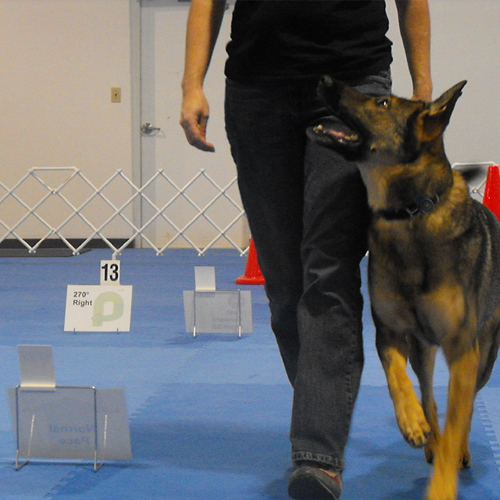 Some exercises in this module are performed off-leash. The series is divided into four 3-week modules, each dedicated to a core concept. This is an opportunity to build on what you learned in our Basic Skills Series, for your goal of the perfect canine companion. 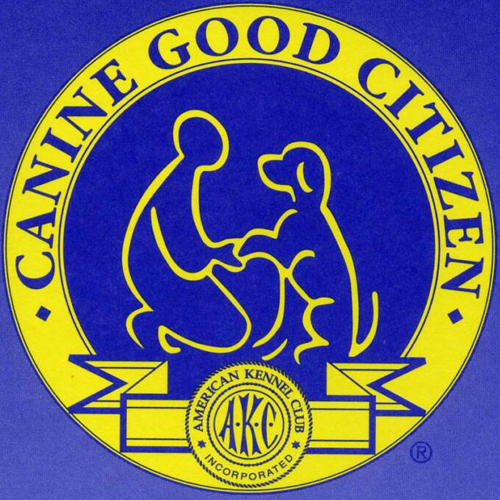 The Canine Good Citizen test was started in 1989 by the American Kennel Club as a way of recognizing basic training. The test is open for all breeds and mixes. 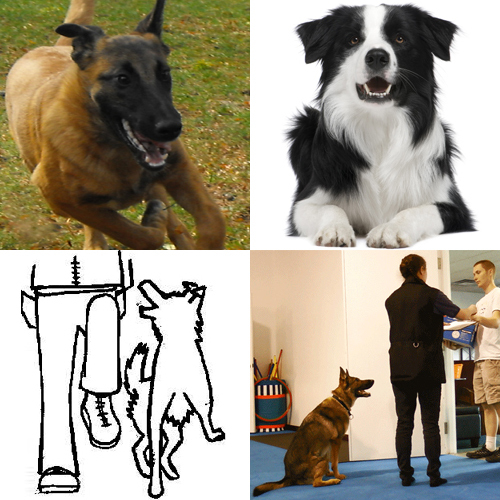 The test items are meant to be similar to skills that would be useful in every day life (walking through a crowd, stay while the handler walks away, sit for petting). Whether walking in a crowd, passing strangers on the sidewalk, settling on the patio of your favorite restaurant, this class will help your dog learn the manners needed to succeed while out and about. Challenge your dog with harder & varied distractions. This module focuses on improving your polite greetings, recalls, stays, and walking skills. Dogs will be challenged with harder and varied distractions, learn to go longer between rewards, and to be able to continue working as rewards are faded out. 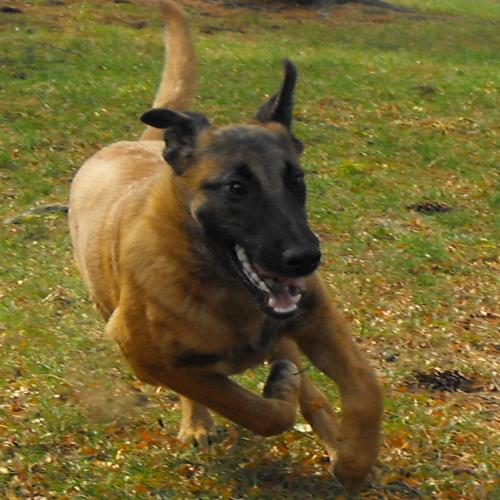 Build reliable off leash control with this exciting class. 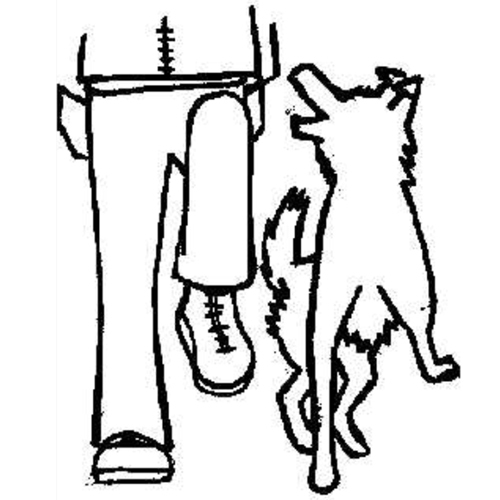 Activities in Off Leash Control include sending your dog in a specific direction, recalls, changing positions at a distance, and off leash walking. 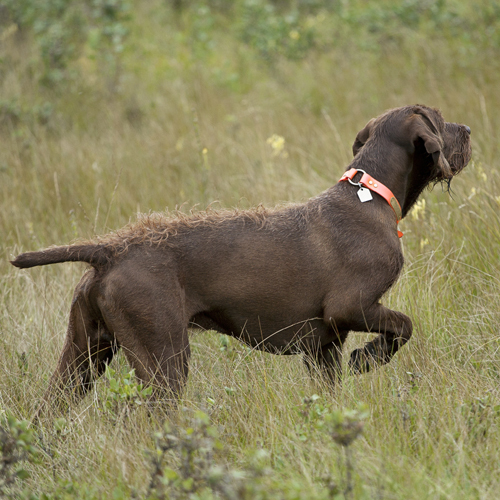 Rally and obedience are dog sports that combine skills needed for basic manners (walking, stays, recalls) and more training challenges (retrieves, scent work, jumping). The emphasis is on teamwork between the dog and handler and working on these skills will improve your relationship with your dog even if you do not currently have an interest in competing. My dog sometimes barks at other dogs. Can I still take a group class? Our adult dog classes are intended for dogs who are able to be comfortable and focused around other dogs in a relatively small space. Although a little bit of barking at the beginning of class is acceptable, dogs who bark throughout class or at other dogs are not good candidates for group class. You may wish to consider our Rowdy and Reactive program or private lessons. All of our classes meet weekly for 50 minutes at the same time (e.g., Tuesdays from 7:00-7:50 pm). The 10 minute transition time between classes is necessary to allow dogs from the previous class to leave and from the incoming class to arrive and settle without feeling rushed. When you register for a class you will see the start date (e.g., “Tuesday, November 6 at 7:00 pm), and know that your class will meet at that time for the number of weeks specified (e.g., Tuesdays at 7pm for 3 consecutive weeks). At times, there will be skip dates for holidays or other events. They are normally posted before you register, so the posted date may say something like this: “Tuesday, November 6 at 7:00 pm (Skip November 13)”. If there are skip dates, you do not lose a class; you merely skip that week and class continues the following week. On rare occasions we have to skip a class after you have registered, your trainer will notify you in class, or will send out an email with the information. What should I expect my first class? The first week of class is often more difficult than expected for dogs and owners. The dog is in a new environment and may be excited or nervous about the other dogs and people in class. Being prepared for class, including items to help your dog settle (chew item, mat) can help. (Click here for suggestions on what to bring.) Be aware that dogs sometimes struggle to focus their first week, so even well-trained dogs may need rewards for attention to the handler and other tasks that they do easily at home. Most dogs settle in to the routine by their second week of class and do very well. I have to miss one of my scheduled class. Do you offer a make up? No, unfortunately we do not offer make ups. Most of our classes are offered as 3-week modules that can be taken in any order, so if you know you will have to miss a week or two, you might consider skipping that module and signing up for it when it is offered at a different time. I unexpectedly had to miss class. How do I find out what I missed? Come to class next week! Although the content builds from week to week, you will still be able to participate in class and improve your training skills even if you missed a class. I am feeling very behind. What should I do? 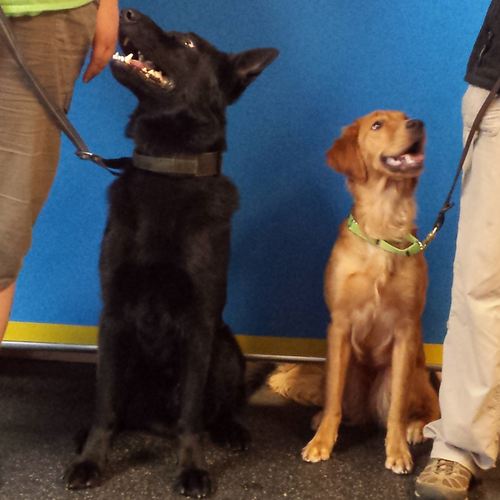 Dogs enter our classes with a wide variety of prior training and experiences. Some dogs have had lots of prior training with a handler who has trained many dogs using positive reinforcement methods previously. Other dogs are brand new to the household or are young dogs. We encourage teams to judge progress relative to where you were previously, not relative to others. If you have questions about how to best spend your outside of class training time, please ask your instructor during class. My dog gets sick eating treats. Can I just bring his regular dinner instead? The group class environment is typically a challenging environment for most dogs. Bringing a variety of high value rewards will help your dog learn and help you both benefit the most from class. Our suggestions of cooked steak, chicken, or fish, canned dog food, string cheese are high value and tolerated well by many dogs. However, if you cannot feed your dog these items, please contact us before you start class. 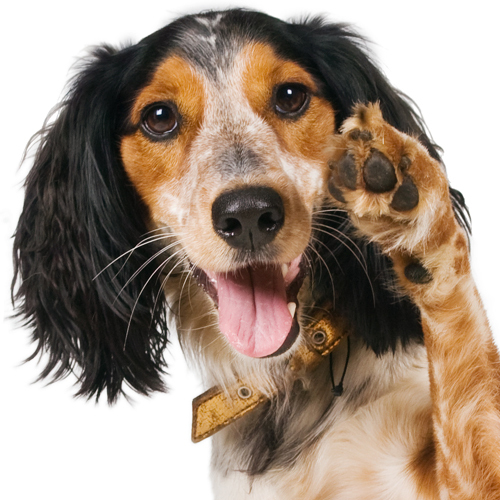 We would be happy to provide suggestions that are specific to your dog’s food needs (allergies, special diets, etc) for you to check with your veterinarian.